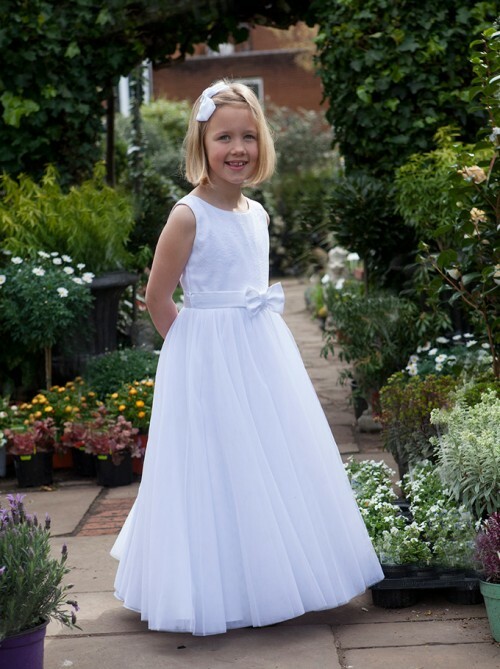 This beautiful, unique First Holy Communion dress is made up of different layers of tulles on the skirt. The bodice is created using a stunning lace and a satin sash and bow detail finishes this dress off to perfection. Available in ivory or white.